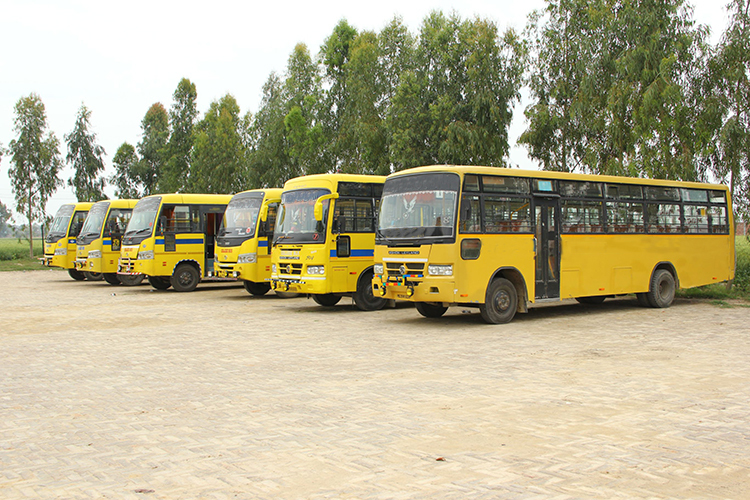 A fully fledged Transport department with a fleet of buses functions in the college to provide transport facility to students, faculty and staff from various places. This service is offered to ensure timely, hassle-free and safe transportation facility. The College runs 10 buses for providing affordable and comfortable transport facility to students on various routes. LGC runs a fleet of buses from Ludhiana, Moga, Jagraon, Raikot etc. and other routes. Using of college transport is not compulsory and only those students who agree to abide by the transport rules of the college are advised to use the college transport facility. The students who want to use the college transport should give a written request along with a photograph to the college at the start of the academic session. The transport fee should be paid in the beginning of the year and the fee once paid shall not be refunded under any circumstances. The transport charges will be notified every year and is subject to change depending on the Increase In the cost of fuel and other operating costs. The students traveling in the college bus should occupy the seats allotted to them and should not create any disturbance to other students and staff. Strict discipline should be maintained inside the college bus. On payment of bus fee, the staff/ student will be issued a bus pass signed by the competent authority. Fine shall be imposed on students/staff travelling in the college bus without a valid bus pass. The college can change, alter, amend any of the above rules at any point of time and it will be binding on the students.